KATHMANDU, May 19: The government is preparing to present a full-fledged budget for Fiscal Year 2017/18 in the parliament on May 29. Through the budget, the central government will allocate funds to local units for the first time after the new constitution was endorsed two years ago. The budget will have new projects and programs for the center. Amid concerns that the new budget could impact voting in the second phase of local level elections, finance ministry officials say that such programs won't be of populist nature. “We are preparing a full-fledged budget and it will be tabled on May 29 as provisioned in the constitution,” Madhu Kumar Marasini, chief of the Budget and Program Division at the Ministry of Finance, told Republica. The budget ceiling for Fiscal Year 2017/18 has been set at Rs 1,156 billion, up from last fiscal year's Rs 1,048 billion. As per a constitutional provision, the budget must be tabled on 15th of Nepali month of Jestha which falls on May 29 this year. The preparation made by finance ministry hints that the budget will be tabled in the parliament on the stipulated date. 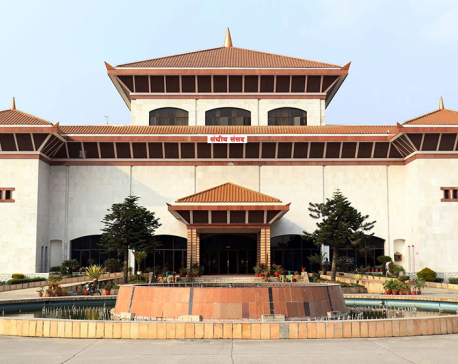 The main opposition, CPN-UML, which had initially opposed the idea of tabling budget ahead of the second phase of local level elections, discussed the issue in its standing committee meeting held on Wednesday. “The meeting discussed the upcoming budget. It concluded that the government can bring new budget by keeping tax rates unchanged and without bringing any new program,” CPN-UM leader Surendra Pandey, who is also a former finance minister, told Republica. “As the constitution talks about full-fledged budget only, the ministry is preparing the bring a full-fledged budget accordingly,” finance ministry officials say. 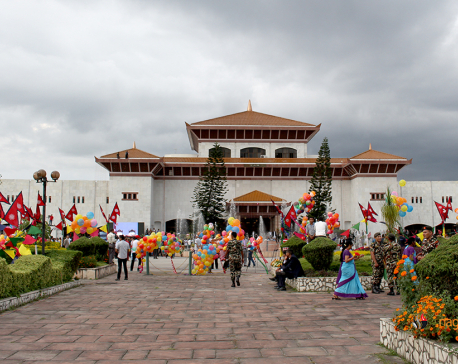 Though some media reports say that the government can bring ad hoc budget on May 29, ministry officials say there is no such provision in the constitution. Unlike the previous budgets, the new budget will allocate a basket of resources to 744 local units -- rural municipalities, municipalities, sub metropolis and metropolis. The local units can prepare budgetary programs and select projects on their own. The central government cannot dictate local units in project selection. According to Marasini, budget outlay for local units will not be less than what they had received through annual programs and projects of the current fiscal year. But equitable resources distribution is highly unlikely as the government agencies lack essential data of local units. The central government will allocate budget to local units through four types of grants -- conditional grants, grants provided for equitable development of each local unit, grants provided for matching the local revenue, and special grants.